Looking for a lab for a Digital X-RAY Scan in Delhi? Visit Arun Imaging. 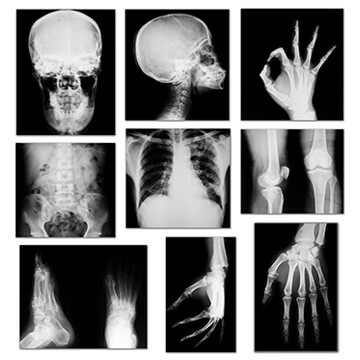 Digital X-RAY is basically an imaging test that helps the doctor get the view of various parts of your body. Arun Imaging is pioneer for producing quality images and undertaking all specialized view of X-Ray such as Scanogram, Whole spine, HSG and all other contrast studies. Our XRAY Clinic in Vivek Vihar is loaded with the right set of tools and technologies and trained team to perform the test on patients. It helps with diagnosis of the disease with ease. We understand the value of time for patients, who are in deep pain, so, we assure the preparation of the authentic report within a promised time frame. At our Digital X-Ray Centre, we have advanced digital equipment for performing the digital X-Rays of any part of body. During the X-Ray, Technologist will tell you how to position your body for getting the clear view. All the people in our staff are customer-friendly and specialized in their field. The Cost Of X-RAY Scan is pocket-friendly. So, do visit us for getting the test done. To avoid long queues, you can book your appointment in advance.